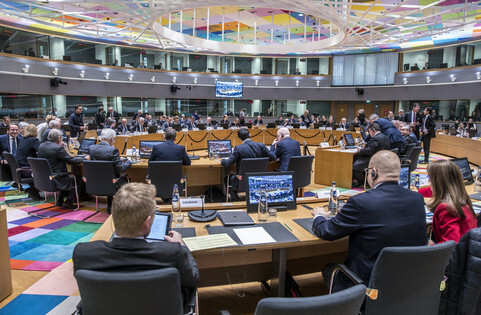 The European Commission was not impressed by Polish president Andrzej Duda’s decision, on Monday (24 July), to veto two of the draft laws that the EU executive heavily criticised last week. The commission's spokesman, Margaritis Schinas, said the EU executive is “following the events and situation in Poland very closely". "Things are changing even as we speak," Schinas told reporters only two hours after Duda's announcement. He confirmed that the college of EU commissioners will discuss the situation in Poland on Wednesday, and decide on the next steps. "All developments, and all the changes that are going on will be addressed by the commission on Wednesday,” he said. "This is a political commission, this is up to the political masters to discuss," he added, but declined to call Duda’s veto a positive development. Schinas recalled that Poland had not responded to commission vice-president Frans Timmermans' invitation to the Polish justice and foreign ministers last week for dialogue. The EU commission is insisting on dialogue about the rule of law, which the EU executive said had come under threat with the draft laws. 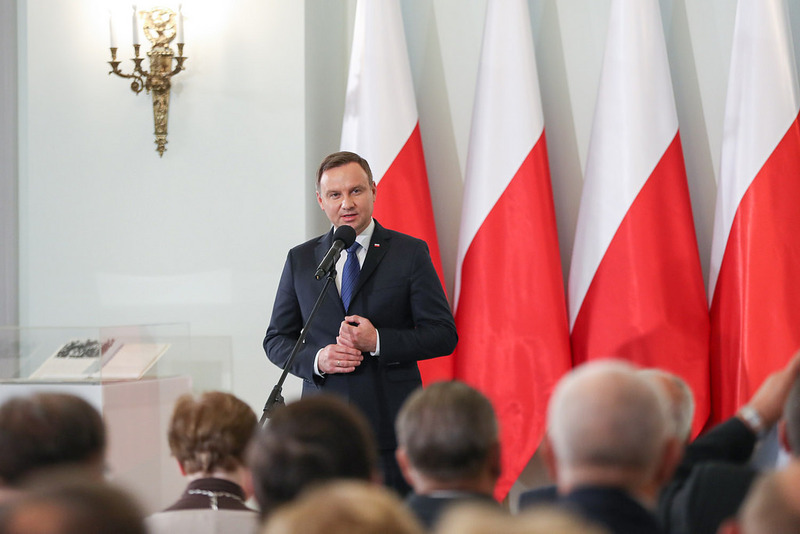 After a weekend of mass protests, Duda unexpectedly announced on Monday that he will send the bill on the Supreme Court back to the Sejm, the lower house of parliament, as well as the one about the National Council of the Judiciary. 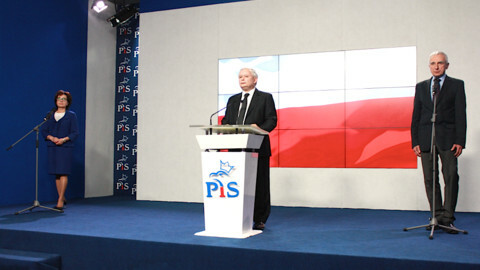 Duda’s move came as a surprise, as he is a former member of the ruling Law and Justice party (PiS), and seen as loyal to the party’s leader, Jaroslaw Kaczynski. The bill on the Supreme Court would have forced all members of the court to step down, except for the ones appointed by the president upon the justice minister's suggestion. Another draft would have given parliament control over the National Judicial Council, the body that appoints judges. A third bill, which was not vetoed, would allow the justice minister to fire lead judges in lower courts. 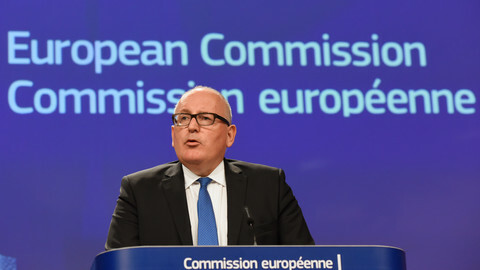 All the bills were heavily criticised by Timmermans last week, who said the commission would launch infringement procedure against them, and prepare the launching of Article 7, the toughest sanction procedure against a member state in the EU’s toolkit. The commission is waiting to see what consequences the veto will have. 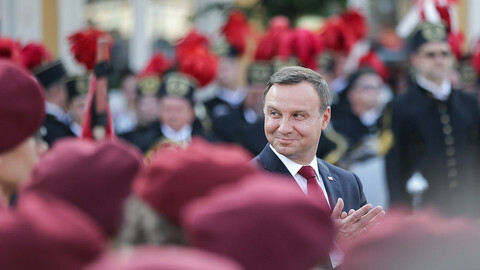 Duda will propose amendments, and the EU executive wants to see what they are. 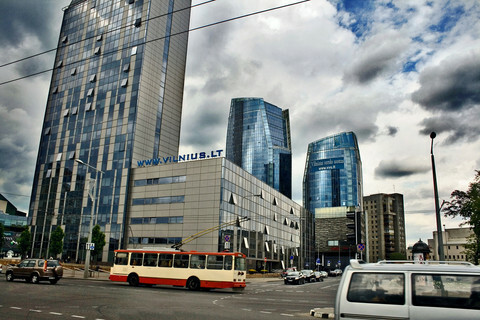 “We want to see what changes for the Polish people,” an EU official said. It remains to be seen whether the EU executive will proceed with the new infringement procedures in some of the areas. In any case, the procedures could only be launched once the laws are enacted. 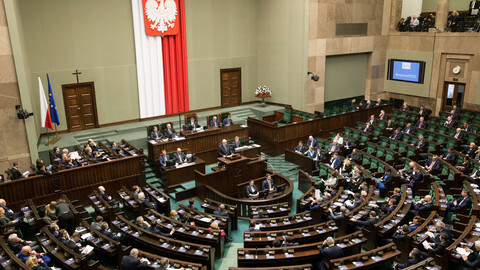 One legal issue, for which the commission could launch an infringement procedure, is the early retirement of judges, which the commission can argue is discriminatory against women, as the age thresholds are vary between sexes under the new Polish legislation. Similarly, the commission launched a probe against Hungary in 2012 on the discriminatory nature of the early retirement of judges, when the government lowered the retirement age from 70 to 62 and fired all the judges in-between. In the case of Poland, the commission could also argue that the country's government is failing to give citizens effective access to justice by undermining the courts' independence. This argument has also been used against Hungary. 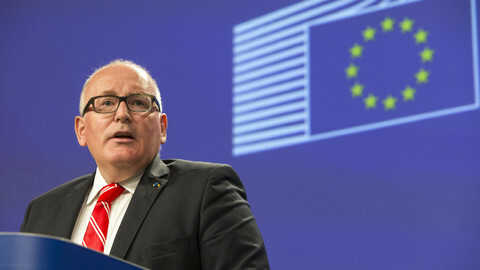 On Wednesday, the commissioners could endorse the legal reasoning behind the possible infringement procedures, and give a mandate to Timmermans to launch them whenever the laws are passed and published in Poland. The EU commission has already launched a separate procedure on the rule of law last year, after Poland put in place controversial reforms on the constitutional court. That procedure is still ongoing, and the commission is expected to approve a third set of recommendations on Wednesday in order to ask for more information on the Polish government and to warn it of the possible consequences if it went forward with its reform of the judicial system.